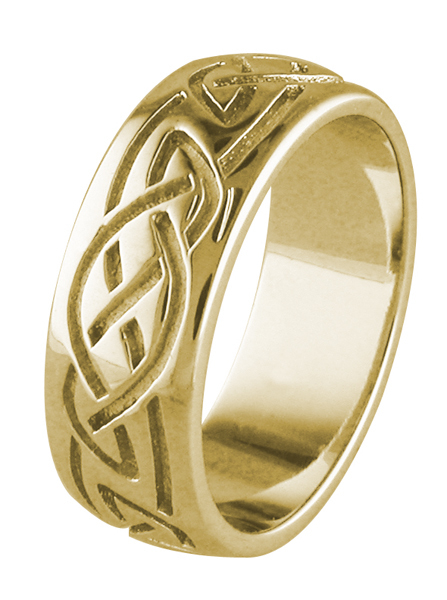 This stunning celtic ring is new to our range. 9ct gold. This beautiful ring is brand new to our range, it is perfect for a man who prefers a traditional wedding ring, with subtle celtic symbolism. The knot on this ring is the basic celtic love knot, symbolizing forces moving in harmony forever. To see shipping locations please check shipping section. ID320 Infinity- Ladies,This is one of the thinnest rings in our range, and so it is popular in matching up with engagement rings.